A new advertising deal has been done between Cheltenham Town Football Club and www.glos.info, so you will see many more Cheltenham Town events on the what's on site for Cheltenham, Gloucester and The Cotswolds moving forwards. 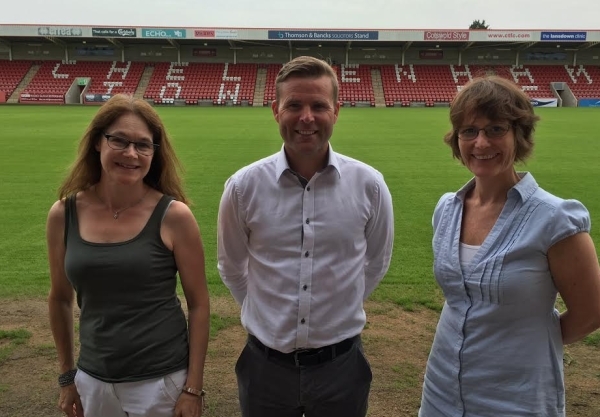 Belinda Wilson, director of www.glos.info, said "I am really pleased to have arranged the advertising with John Finnigan from Cheltenham Town. We are big football supporters and it is great for us to be able to promote our local club now they are back in the Football League. We will be promoting home matches as well as many of the other community events and initiatives that Cheltenham Town run."